Paris is obviously great for shopping - my empty, barren bank account can certainly vouch for that - but there seems to be fewer specialist shoe shops here than Londres. Apart from discovering Mellow Yellow last summer in Le Marais and seeing a couple of ALDO stores over here, it appears the majority of footwear shopping is done in department stores like Galeries Lafayette (that basement floor is seriously dangerous territory) and in accessories sections of brand stores. 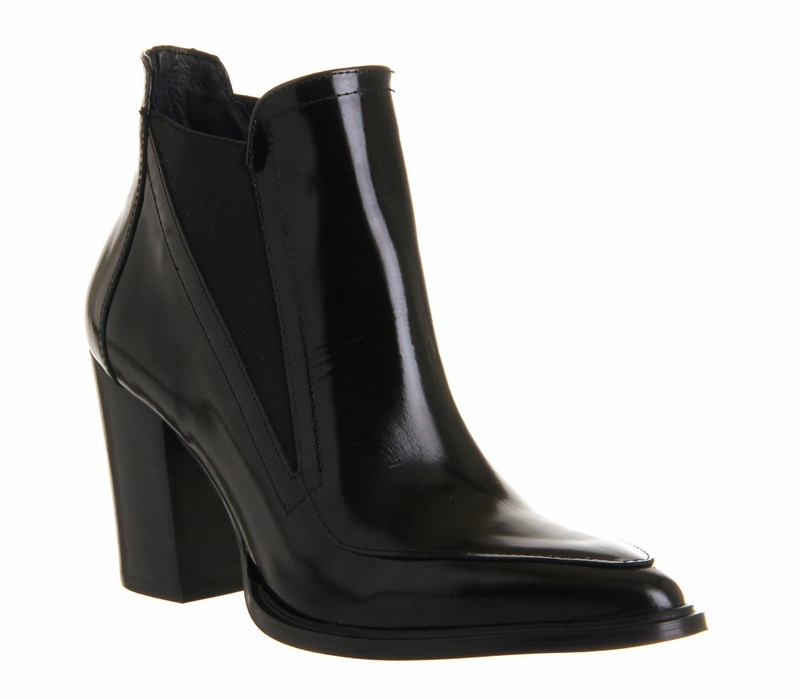 I've kinda missed one-stop shoe shops like Office and I'll be purchasing these glossy, everyday ankle boots to make up for my absence.